The enduring film still strikes deep into the heart and mind, even as time goes by. "Citizen Kane" and "Vertigo," both psychologically propelled movie classics, regularly battle for the top ranking in the dubious greatest-movie-lists genre. But perhaps the most enduring film of all strips away any Freudian sheen, and shines as an undisputed No. 1 in the romance and screenplay categories. "Casablanca," which turns 75 Nov. 26, still works directly on the heart and mind, even as time goes by. The story of star-crossed lovers Rick and Ilsa's unplanned reunion in Vichy-controlled Morocco premiered just under year after Pearl Harbor. "Casablanca" offered movie audiences both escape and a potent reminder of the world turmoil through two characters brought to life in stark, glorious black and white, via Humphrey Bogart and Ingrid Bergman. But the true stars were the words penned by Howard Koch and brothers Julius J. and Philip G. Epstein, whose prose proved as memorable as images of Rick and Ilsa's foggy farewell. 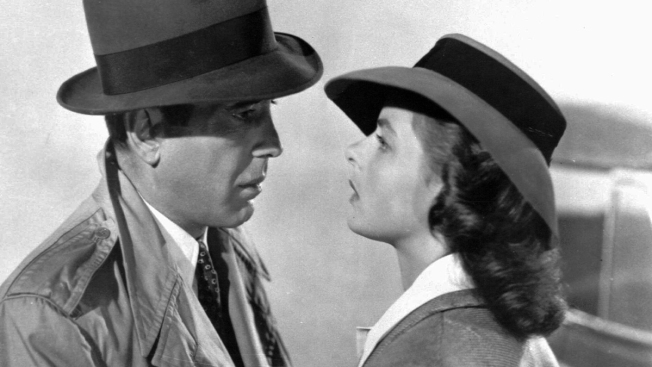 "Casablanca" is the most quotable movie of all time, from "Round up the usual suspects" to “Of all the gin joints, in all the towns, in all the world, she walks into mine” to "Here's looking at you, kid." Unlike “Citizen Kane” (1941) and “Vertigo” (1958), “Casablanca” doesn’t focus on the individual as much as on the shared sacrifice of love for a larger cause. That’s the most romantic movie notion of all. Sometimes, all you’re left to cling to amid uncertainty are memories. Rick and Ilsa, at least, would always have Paris. The rest of us, luckily, will always have "Casablanca."